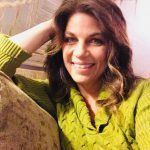 Gina Strasser has more than 20 years of management experience in the Reno area, including more than a decade as operations manager and project coordinator at C*A*R*E Chest of Sierra Nevada, a 501(c)(3) organization. Gina oversaw operations for Howard’s Chevron, which she managed with her late husband, Carl. She has served as office manager of Thunder Pain Management, an integrative pain management clinic since 2015. Gina loves feeling like she’s making a difference, both working at Thunder Pain Management and volunteering for her favorite organizations including Modern Widows Club. During Widows Empowerment Weekend in 2017 she did a presentation on fundraising. She began working in the non-profit sector in 1992 and since then, has spent extensive time volunteering for committees, coordinating events or serving on boards for organizations focused on education, medical assistance programs, human services and athletics. Gina has been recognized for her efforts by the Charter School Association of Nevada and after her husband’s passing, an outdoor school theatre became her family’s namesake. She enjoys spending time with her son, cooking way too much fantastic food for her friends, travel and helping make what seem like unimaginable projects come to fruition. Ms. Haston was born and raised in Tulsa, Oklahoma, and completed her Masters of Economics at University of Tulsa. She is retired from an extensive career, spanning over 40 years, in Management Consulting. She started her consulting career specializing in market research, long range business planning and financial analysis. Over 30 years ago she founded a successful medical consulting company specializing in the management of physician medical practices, computerizing all aspects of physician billing, and creating and building medical practices of all specialties. Following the example of her parents, she has always been active in her community, but especially active in non-profit organizations. After moving to Phoenix, Arizona in the mid 90’s, Ms Haston continued her non-profit, volunteer activities by chairing fund raising events, large capital campaigns, and serving on various boards. For many years, Ms Haston was a single mother, raising a son, and running a successful business. She remarried before moving to Phoenix in 1993 and was suddenly widowed on Christmas Eve of 2009. Every widow’s journey and situation is different. 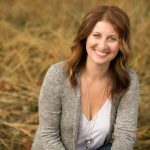 She understands these struggles and is committed to helping other widows find the strength and purpose to build confident, successful lives.